Dimensions: 49 inches wide, 22 inches deep and 81 inches high. 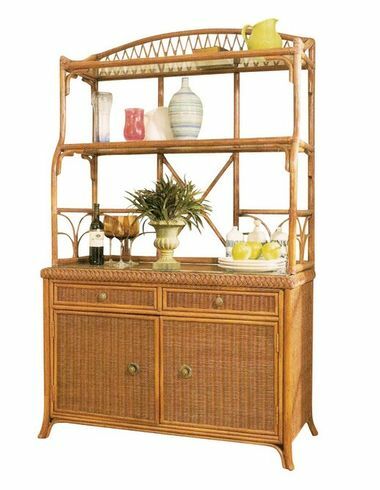 Our Wicker Bakers Rack is a wonderfully detailed piece that can be used in most any room you want to add style and storage. It has 2 drawers with cabinet below and 2 shelves on the rack. 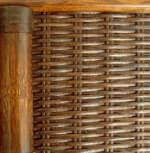 Within the cabinet is an adjustable shelf. Please note: the rack and cabinet sections are separate pieces. 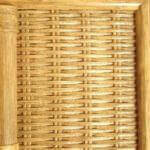 The Wicker Bakers Rack ships with your choice of finish. 49 inches wide, 22 inches deep and 81 inches high.